First Floor 178 sq. ft.
Add value to your home and earn extra income with this charming garage apartment plan. 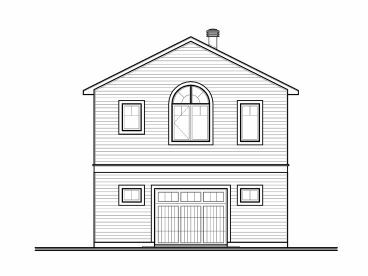 Ideal for a college student or rental property, this 1-car, drive-thru garage plan has plenty to offer. 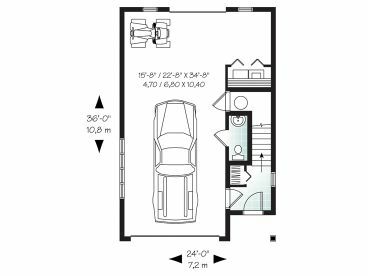 Take a look at the main level where 658 square feet of unfinished space offers ample parking for one car with extra room for storage. 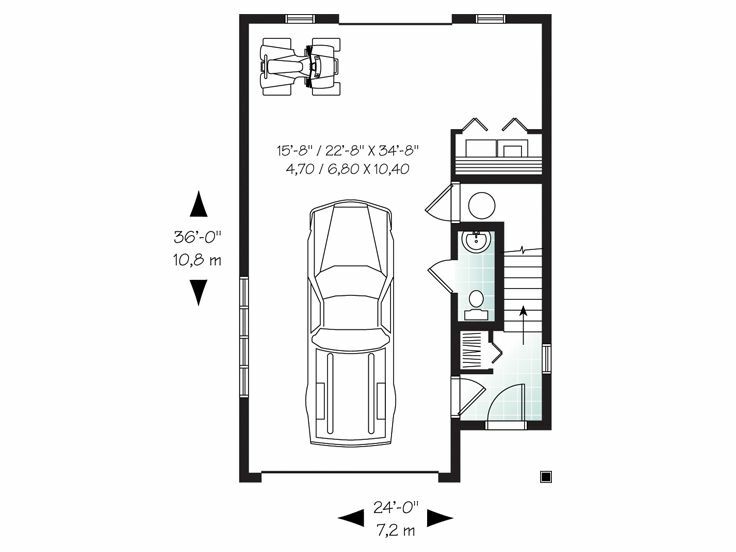 Or, consider the extra deep, drive-thru bay, perfect for storing a boat. Simply pull straight thru the garage without the hassle of backing up. 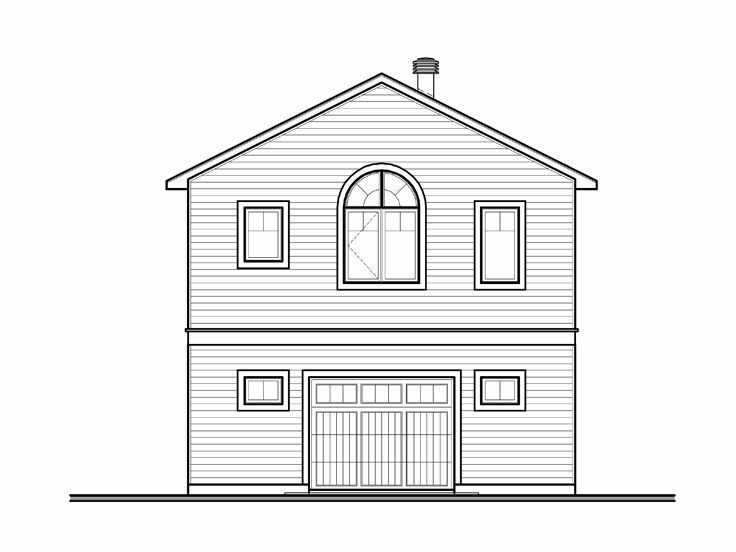 The half bath is handy saving steps to the main home when working in your garage or yard. 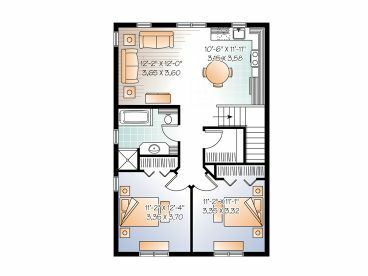 Whether you choose to use the living quarters as a private space for your college student or guests or you plan to rent it out, rest assured the 864 square foot second floor is modest, yet comfortable and efficient. The kitchen combines with the living area creating a spacious feel in the gathering areas. Furthermore, sparkling windows draw the sunshine indoors. 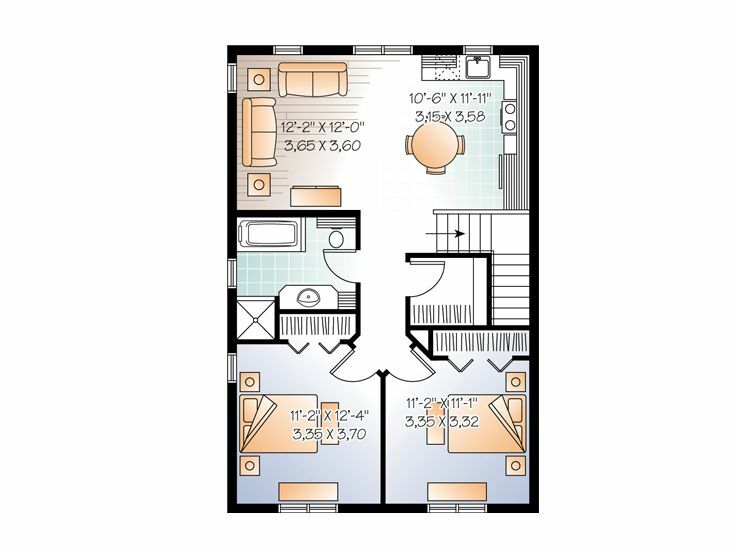 Two bedrooms boast roomy closets and share a deluxe bath. Note the generously sized storage closet, covered entry, interior stairs and main level laundry closet all offering convenience. 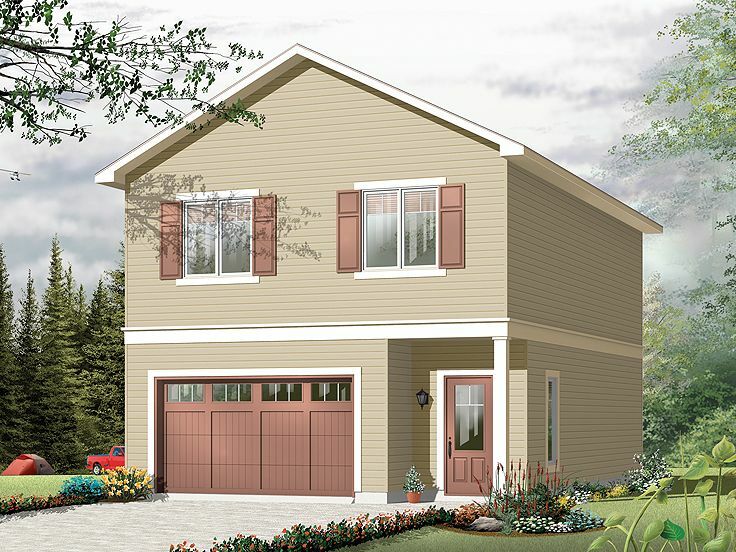 Charming and budget conscious, this garage apartment plan with storage and boat parking is sure to please you.